Fort Mill and Indian Land, South Carolina are two neighboring suburban communities. Indian Land sits in the northernmost portion of Lancaster County, east of Fort Mill, South of Ballantyne, North Carolina, and West of Marvin and Waxhaw, North Carolina. Though both Indian Land and Fort Mill are technically located in South Carolina, they are each considered a suburb of Charlotte, North Carolina. A major highway that runs through Indian Land is the US-521. Homeowners in Indian Land sometimes use a Fort Mill address as their residence is an unincorporated community. Buyers with school-aged children can enroll them in Indian Land Elementary, Harrisburg Elementary, or Indian Land Middle and High Schools. Indian Land High School has had the honor of being named a "Red Carpet School." Fort Mill is located in York County, north of Rock Hill, South Carolina. The land was initially inhabited by Catawba Native Americans, and in the mid-1700s Scot-Irish immigrants came to town. Fort Mill is amassed of only 4.2 square miles, and the land was established in 1873; the name of town deriving from a fort in Steele Creek, North Carolina. Fort Mill's economy relied primarily on textile manufacturing until the mid-1900s. 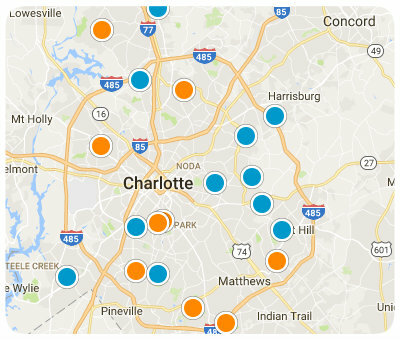 Depending on where the buyer is looking to live, the population in Fort Mill is anywhere from 13,000-36,000. Fort Mill is where the headquarters for Carolina Crown Drum and Bugle Corps, LPL Financial, Mood Media, and Shutterfly are located. The Carowinds Amusement Park is partially located in Fort Mills making it in proximity for residents to attend one of the few theme parks nearby. In the Historic Downtown Fort Mill, there are plenty of retail shops and recreation areas like Memorial Park. The Anne Springs Greenway Nature Preserve is nearby allowing residents to walk the trails and appreciate the effort put in by others to protect the beautiful nature encompassing the area. "Fort Mill Times" and "Fort Mill Magazine" keep homeowners in the loop with what is happening in town and the articles give neighbors topics to discuss during tea. 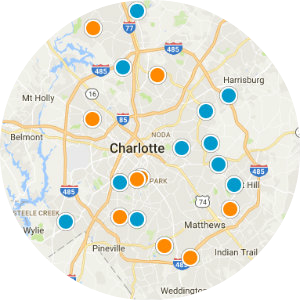 Future homebuyers looking for condos or single-family homes for sale are in luck when searching in Fort Mill and Indian Trail. Stunningly crafted homes with up to seven bedroom floor plans are available in the area. 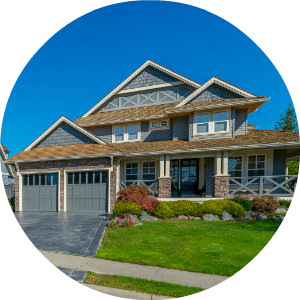 Two to three car garages, houses both detached and attached to one-another can be found, and bi-level patios giving off the "All American" spirit can be discovered by homebuyers looking to make a gorgeous property their own. 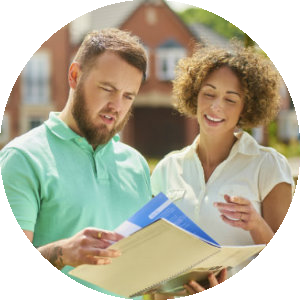 If you are interested in buying a home for sale in Fort Mill and Indian Trail, South Carolina, please contact us today.